No Windows 7 E upgrades "until at least 2010"
Microsoft has announced that the three version family pack of Windows 7 will not be available in the UK for the moment because we have Windows 7 E.
According to the corporation, it's "because the Family Pack is designed as an upgrade SKU, and upgrade SKUs of Windows 7 E will not be available in the UK until at least 2010." So there we have it, no upgrade version of Windows 7 until at least 2010. However, Microsoft says it is "currently working on the best solutions for its UK consumers, and will be in touch if there are any further announcements on this topic." The corporation has also announced its pricing structure that enables consumers to upgrade from one version of Windows 7 to another without having to reinstall. Called Windows Anytime Upgrade (WAU), somebody buying, say a netbook with Windows 7 Starter Edition, will be able to get hold of the much better Home Premium version for just £70. 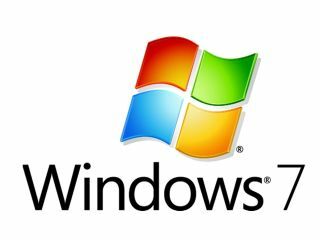 Microsoft says that while most customers will buy the edition of Windows 7 "that best suits them," WAU enables "customers to readily add more features to Windows 7 while keeping their programs, files and settings intact." There are two ways that users can get a WAU. Customers can buy a retail package either or directly from a Microsoft online store; Windows will walk the customer through the rest of the upgrade step-by-step. The Starter to Home Premium cost will be seen as reasonable, the Home Premium to Ultimate, however, is more of a significant leap.